Painful life experiences — relationship breakups, the loss of loved ones, daily stress, being bullied, jealousy, depression, health issues, and more — all leave emotional scars. These scars, which we often refer to as our emotional baggage, affect how we think, feel, and connect with others throughout the entirety of our lives. And it makes learning how to move on from that pain feel impossible. Once someone has been hurt or disillusioned by a loved one, that person may focus on the negative experiences in life and become angry, upset and untrusting. Hostility takes over and replaces any positive feelings, beginning a vicious cycle of injustice against the self. This energy is projected onto other relationships and self-destruction rapidly descends. Letting go of the hurt and pain from your past in order to start fresh with a clean slate is the greatest gift you can give to yourself. Closing the door to the past allows you to open up to your present and live a much healthier life day-to-day. It allows you to open yourself up for future opportunities in every aspect of your life. Emotional scars leave a person leery, creating a domino effect in which they prejudge situations and jump to negative conclusions based on past experiences rather than what is actually happening in the present. When you shed your past burdens, you become more open towards growth in your career, your friendships, and your romantic relationships. In order to greet each situation as a fresh new experience, you must allow it to unfold on its own. Doing so gives you the opportunity to enjoy life to a much higher degree, free from the weighty burdens of the past that previously held you back. 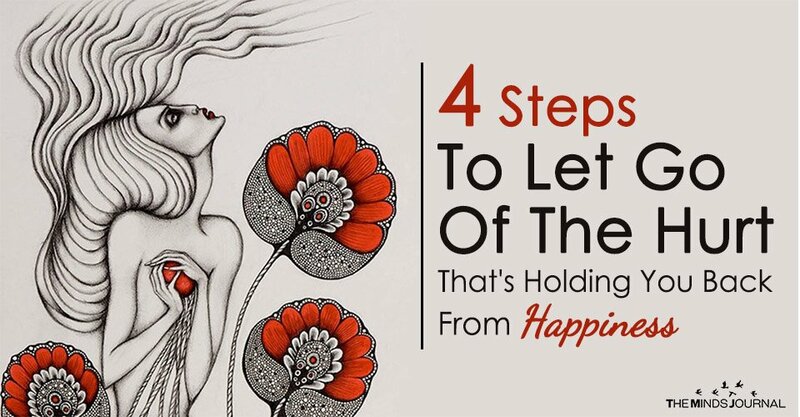 Here are four things you can do right now to dump your emotional baggage — permanently. 1. Forgive those who hurt you. Choose to forgive those who caused you pain and heartache in the past. Forgiveness is essential to healing sufficiently to move forward. Do this for the sake of self-healing even if it feels wrong to do it for anyone else. Holding on to emotions like anger or hatred is like drinking poison and expecting someone else to feel sick. It just doesn’t work that way. Let yourself know that you accept the past simply as what has happened and forgive yourself for the choices you’ve made that led you into dark places. It’s time to stop punishing yourself. You’ve been through enough as it is. 3. Close the door on what’s passed. You cannot go back and change things that have already happened. There is no “do-over” in life. Close that door to the past and let it go. You cannot live your life going in reverse. Life is meant to be a forward motion. Keep the momentum going in that direction. YourTango is the leading online magazine dedicated to love and relationships.